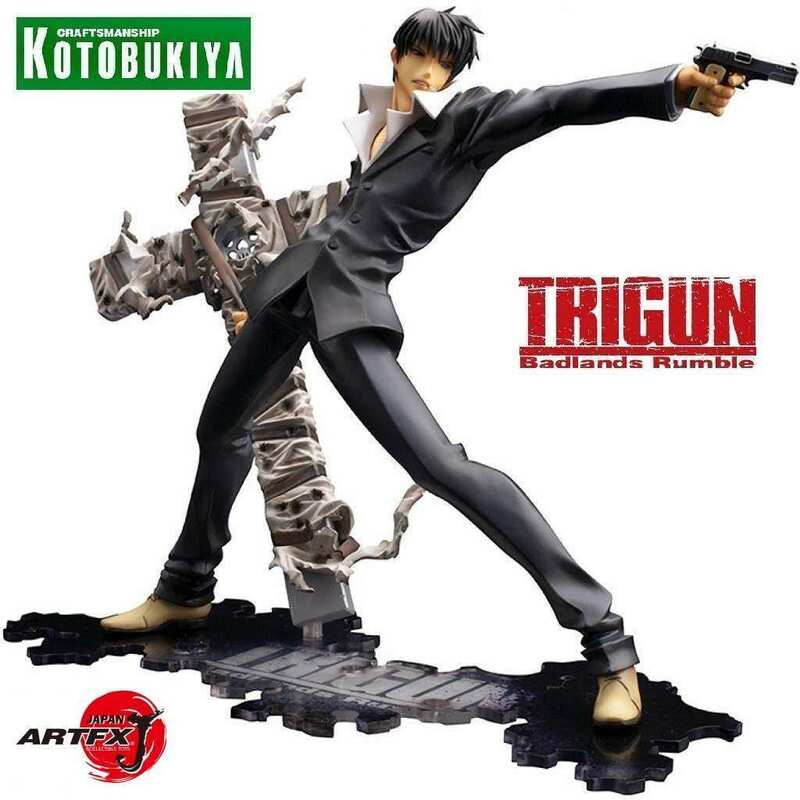 From the Kotobukiya ARTFX J range we present Nicholas D. Wolfwood, the priest and gunslinger and a fan favourite character from the hit feature film Trigun, Badlands Rumble. Now's your chance to own Nicholas as he reappears in the renewal package. 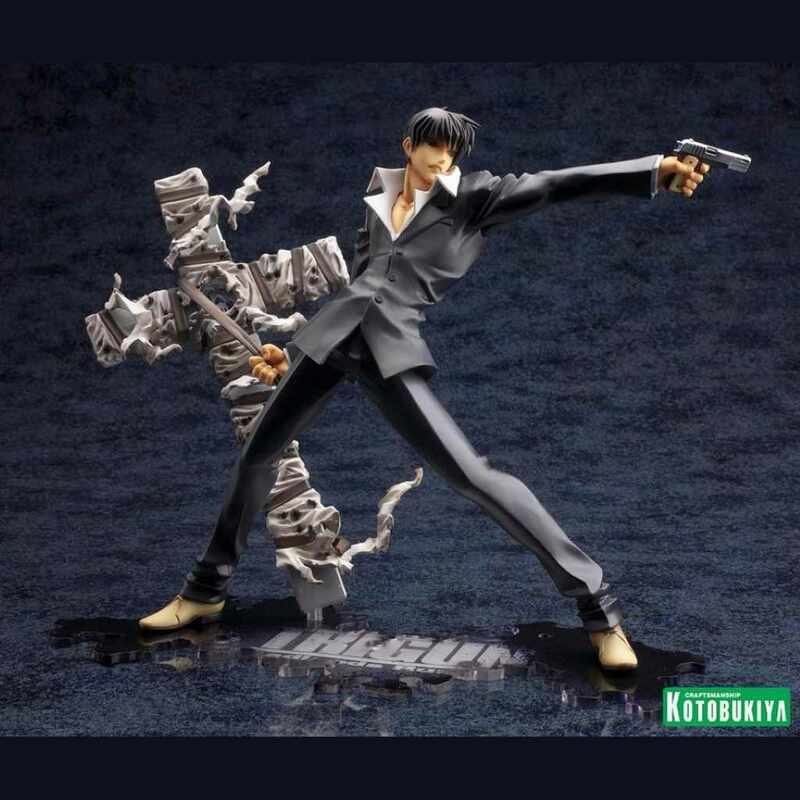 Nicholas will fight with honor and has no problems when it comes to killing, unlike Vash and he is well known for his incredible weapon which he brings to bear here in the ARTFX J statue. 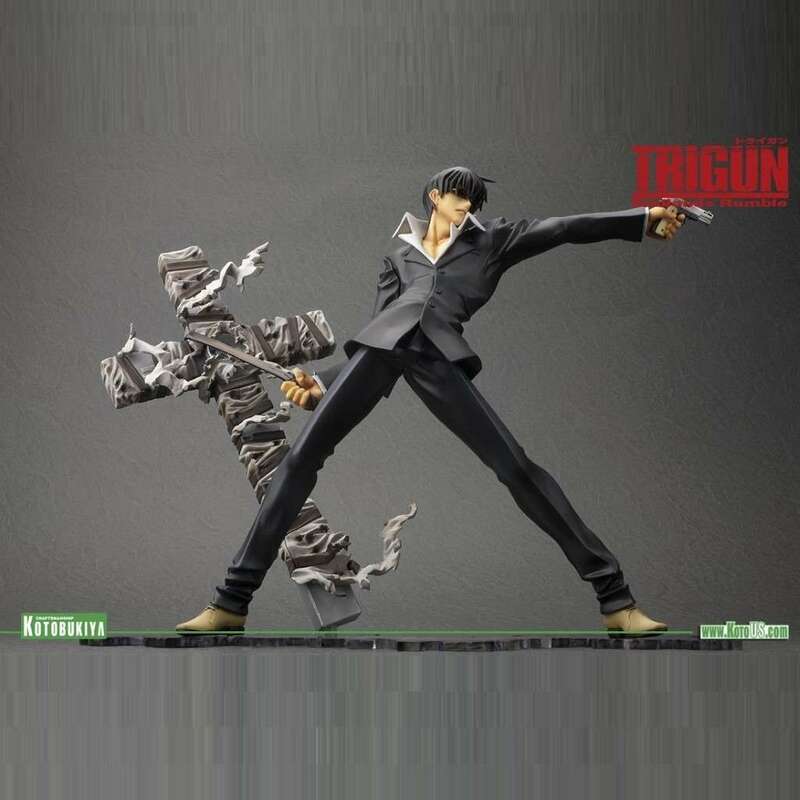 Sculpted by Tatsuya Hattori, the highly detailed gunfighter is nearly 8" tall in 1:8 scale and stands with a wide-legged stance and is turning to his left while staring down his arm as he aims a pistol at his target and held behid him by a strap is the giant cross-shaped gun known as The Punisher, appearing as it does in the film complete with tattered wrapping and straps. 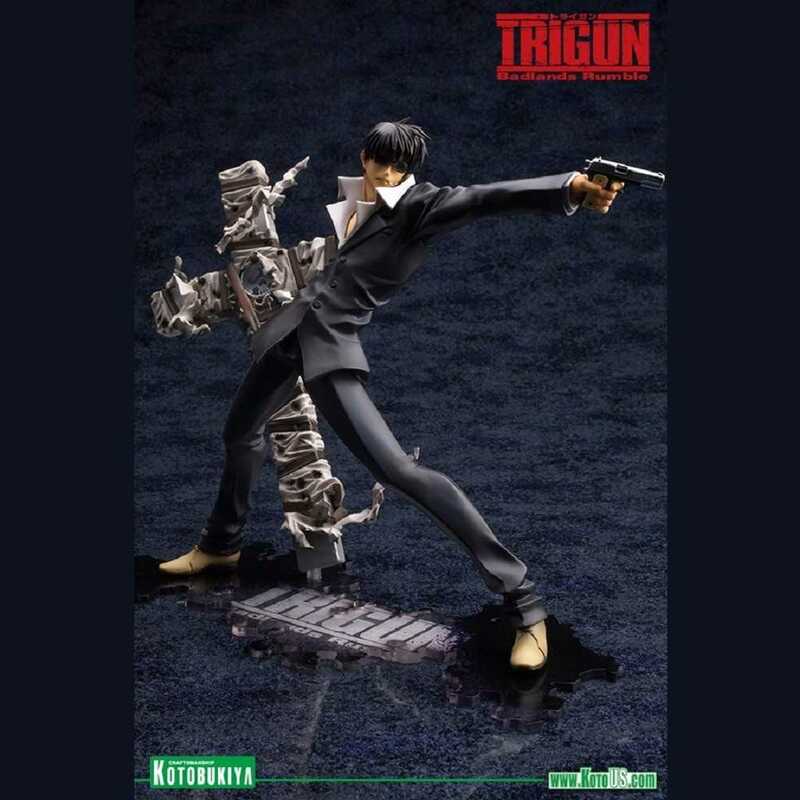 Nicholas is wearing his iconic black suit and has a cigarette dangling from his open mouth and he also comes with removable sunglasses and a specially designed Trigun logo base. 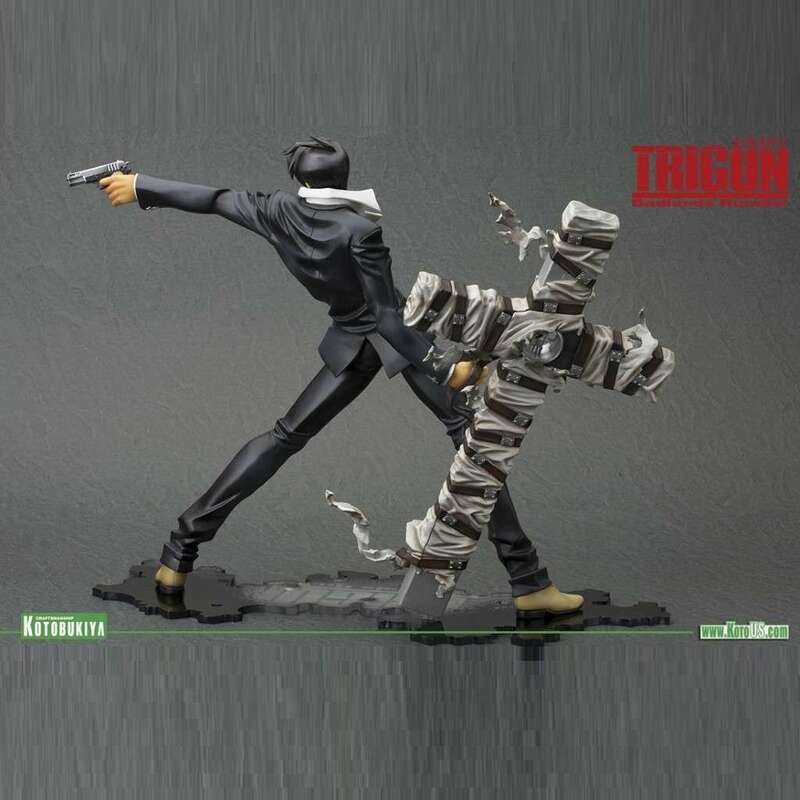 The Vash ARTFX J statue is also available and sold separately and can be placed side by side with companion Nicholas D. Wolfwood.